Know how often to vacuum your hard floors and carpeting to keep them clean and preserve their good looks. Q: I only vacuum my floors when I notice them looking dingy. How often should you vacuum? A: Interior designers and hygiene experts agree that floors should be vacuumed once weekly at minimum. Flooring of all types collects dust and dirt that can detract from their beauty, whether you notice a dingy look or not. More importantly, going longer than a week between vacuuming sessions can lead to health issues. Dust and dirt can aggravate allergies, and bacteria (such as Staphylococcus and Campylobacter) tracked in by shoes and coming from shed skin cells and spilled foods can cause serious infections like pneumonia and dysentery. The sort of flooring you have as well as your family’s lifestyle ought to factor into your vacuuming schedule as well, so read on to determine what’s right for your home. Assess vacuuming frequency based on flooring type. 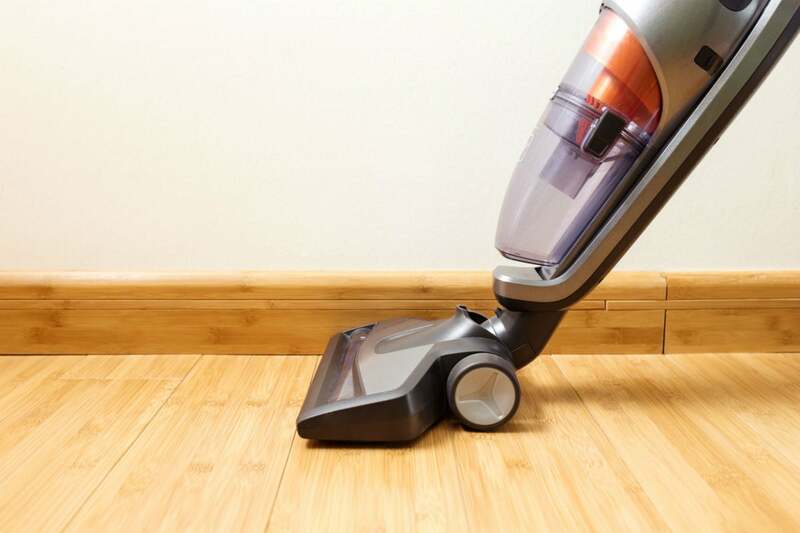 Use these guidelines to determine when to vacuum the type of flooring installed in your home. Vacuum hardwood and tile floors weekly. Weekly vacuuming is sufficient for hardwood and tile floors because they don’t hold on to dust, dirt, and bacteria as much as carpeted floors do. This is due to their hard, flat construction as well as the sealant on most hardwood floors and the glaze applied to tile to keep grime and bacteria at bay. Dust and allergens, however, can still collect on the surface and get caught between wooden floorboards and tiles, so regular vacuuming is a must. Vacuum carpeted floors twice weekly. Carpeting demands more frequent vacuuming because the fibers trap dust, dirt, and allergens and also absorb grime and spills, giving way to bacteria. The longer you neglect a soiled carpet and continue to walk on it, the more enmeshed the dirt and debris become. Vacuum daily if you have pets. The floors of animal lovers easily become littered with pet hair and dander. What’s more, pets who go outside can bring in such bacteria as Cyclospora or Salmonellosis, which can induce headaches, vomiting, diarrhea, and infections like gastritis in humans. A quick daily vacuuming will help banish bacteria to maintain your family’s health. 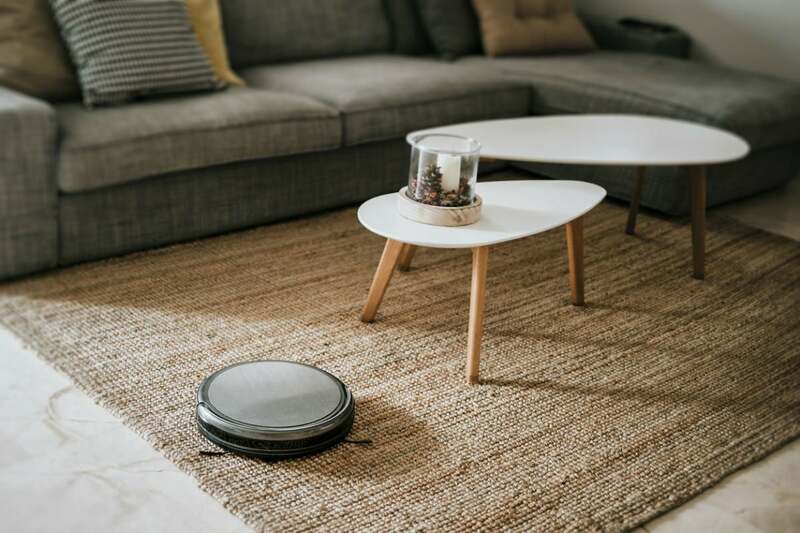 If you haven’t time to vacuum the whole house, focus on rooms where your pets spend the most time—or, consider investing in a top-rated robot vacuum that will make a sweep of the house daily. 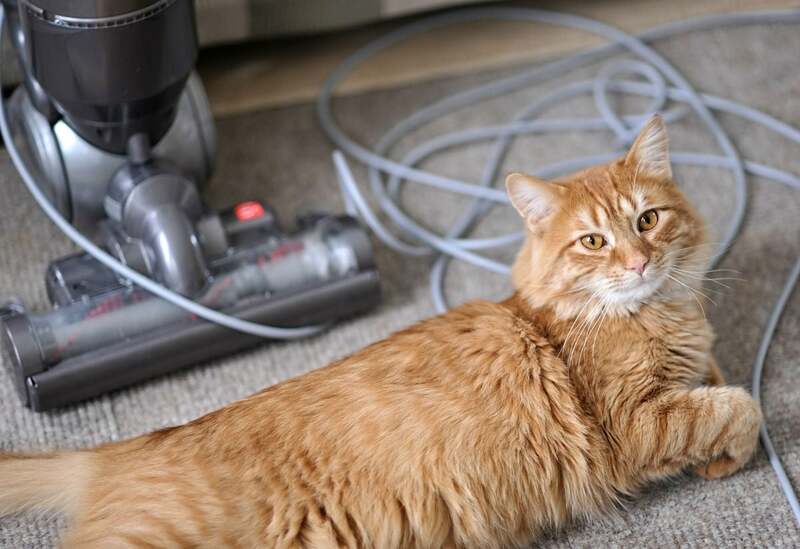 Determine vacuuming frequency based on room usage. Vacuum spaces that get average use weekly. Bedrooms and home offices are usually used daily but by relatively few members of a household, which keeps them cleaner longer. Vacuum high-traffic spaces every few days. Floors in mudrooms, hallways, kitchens, and children’s playrooms get above-average wear-and-tear and grow dingy more quickly, necessitating more frequent vacuuming. Vacuum seldom-used spaces biweekly. Guest rooms, formal dining rooms, and sunrooms tend to get little foot traffic so can be vacuumed less frequently. Individually vacuum any rugs that cover hardwood, tile, or short-fiber carpeted floors twice weekly; the rug fibers absorb grime and accumulate bacteria at about the same rate as carpet. The coverage area of rugs may influence how often you vacuum the floors beneath them as the rugs take the brunt of dirt and grime. If less than three-quarters of the floor is covered by rugs, vacuum the whole hard or carpeted floor per the guidelines above after removing the rugs from the room. If three-quarters or more of the floor is covered by rugs, you can opt to vacuum the whole hard floor every other week, or a carpeted floor every week, after removing the rugs. Follow best practices for vacuuming floors. Enlist the type of vacuum best suited for your flooring type. As a general rule, canister vacuums (these house a motor in a canister that is separate from the vacuum head) are more effective on hard floors as they siphon dust without scattering it. Upright vacuums that consist of a single unit containing all components are ideal for soiled carpets. They’re usually equipped with a beater bar, which is a rotating brush that helps lift debris trapped inside carpeting. If your vacuum has different modes for different floor types, be sure to switch to the mode designed for your floor before vacuuming to avoid damaging the floor. 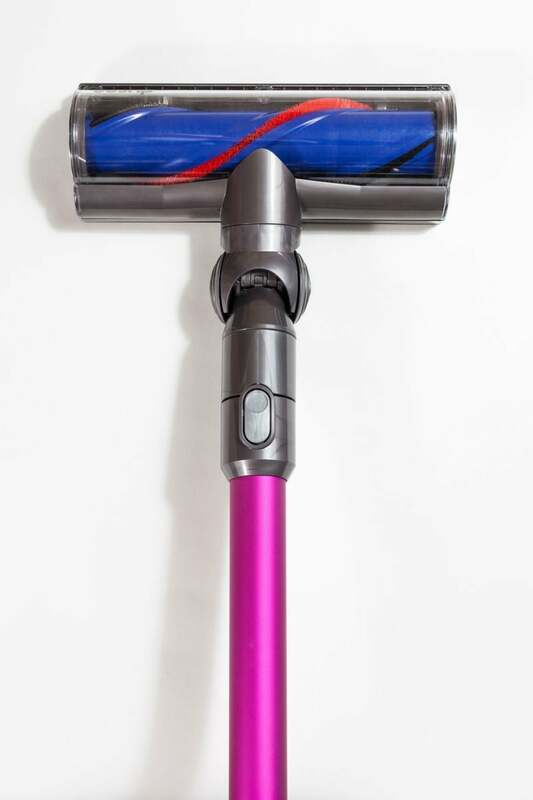 If your vacuum is equipped with a beater bar, disable it before vacuuming hardwood or tile floors as the brush bristles can scratch these surfaces. Consider investing in a High-Efficiency Particulate Air (HEPA) vacuum. These models come equipped with HEPA filters that help catch more dust, allergens, and bacteria than traditional vacuum filters. If your vacuum has an adjustable-height vacuum head, set the height according to the vacuum manufacturer’s recommendation for your flooring type to ensure that the level of suction is appropriate for the flooring. 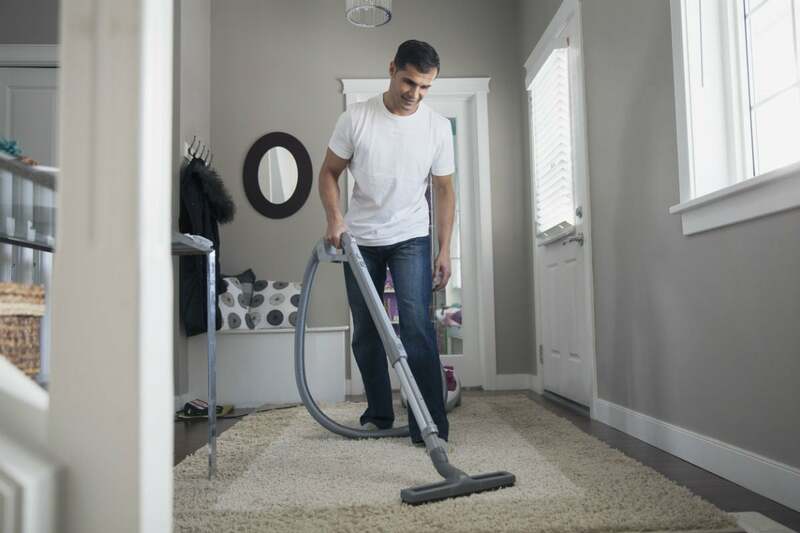 If set too high, the vacuum won’t pick up any dirt; set too low, the fibers of a carpet may get caught. Move the vacuum slowly in one direction and then pull it back in the reverse direction. After doing the floor end to end, repeat the process in the opposite direction. For example, if you originally vacuumed in a north-south direction, vacuum again in an east-west direction to thoroughly clean the surface.